The fundamental need and urgency for self-determination in South Tyrol, when compared with that of Kashmir today, might raise some questions as to what possible similarities they have. South Tyrol is now Europe’s largest producer of apples, a major exporter of cheese, with world-class ski resorts in the Alps. An Italian province at the very northern edge of Italy where it borders Austria. South Tyrol is the richest district of Italy and enjoys almost full sovereignty as an autonomous state, with only 10% of its taxes being contributed to the national Italian budget. Yet in January 2014, a tally was taken in an unofficial referendum gathered during the previous year to identify support for self-determination in South Tyrol. Although only 15% of the population voted, 92.1% of those who voted, voted in favor. Why self-determination when they seem to be doing so well? 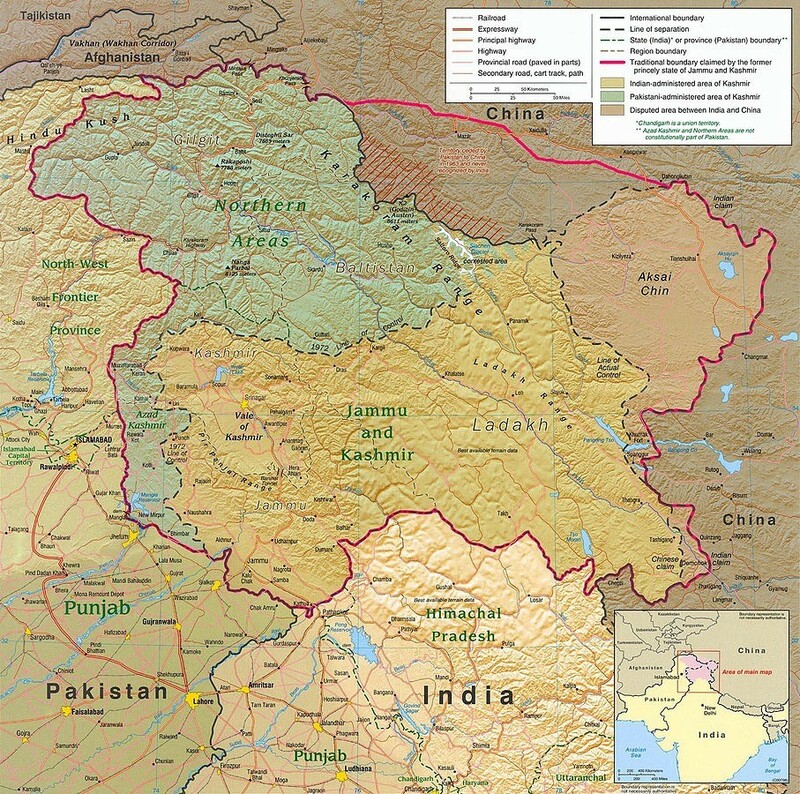 It’s an interesting issue, since the dispute over the sovereignty of this small but enormously beautiful land reminiscent of Kashmir, situated squarely in the Alps adjacent to Switzerland, has been debated since 1919, fought over, and was supposedly settled after UN intervention in 1960 and subsequent resolutions that directed the parties to resolve their differences. South Tyrol’s history might be a logical reference point for understanding the preoccupation with self-determination now, but perhaps the most obvious answer is that, however, you structure it or in whatever manner you spin it, autonomy does not equal self-determination. The consciousness of some notion of a “right” to self-determination is all that is needed to keep that fire burning, apparently. More than that, South Tyrol shares with Kashmir a long tradition of fighting for self-determination, and it has become a default fall-back position whenever there’s trouble. Autonomy is like a child who has grown up but still lives in his parent’s home; self-determination is where he has established his own home. While living in his parent’s home, he may feel like an adult and act like an adult, free to come and go as he pleases, but his home is not his. There is a higher authority that has some ultimate say over his life. He can’t change that ugly picture over the fireplace, he can’t park his car in the driveway because it leaks oil, and don’t even think about getting married. The fundamental difference may seem to be largely psychological, but there’s no question that autonomy is defacto the illusion of independence masking the power and authority of the larger encumbering state which retains the option of using whatever whim or alleged emergency to come swooping in with new laws, new regulations, new taxes simply through a shifting political mood and a few “harmless” changes to that country’s constitution. And the truth is that Italy’s economic problems as a member of the EU have, in fact, caused it to take a hard look at South Tyrol’s prosperity as a means of solving its debt crisis, which is second in the EU only to that of Greece. The issue of sovereignty, its meaning, and how it is derived, and whether it rests in individual rights or collective rights, or even in a status quo maintenance of some overarching historical or spiritual endowment of power in certain individuals or tribes which preserve order and hierarchy are questions that could easily endanger one’s health and safety if asked inappropriately in the wrong place or at the wrong time, particularly in Kashmir. But in an age in which power is becoming more widely distributed and democratic movements step in to fill in the gaps in ethnic, racial and other forms of social diversity and power-sharing, it may be time to come to terms with it constructively that satisfies universal ideals. Sovereignty and who or what possesses it is at the bottom of our urges for self-determination. To what extent does anyone human being have a right to control his own destiny? Does his land belong to him or does it really belong to the state? South Tyrol has had autonomy for many years, and was an autonomous region even during the Hapsburg rule. Modern problems over the issue began when, responding to Italian ambitions, through the secret and later invalidated Treaty of London of 1915, the Allies promised this southern portion of Austria’s County of Tyrol as well as Trieste to the Italians if the latter would take the side of the Allies (the Triple Entente) against Germany during the First World War. It was quite noble, however wrong, of the Allies to be giving away such a nice gift, which wasn’t actually theirs to give, and it has had its consequences. The First World War itself had erupted to a great extent as a consequence of Austria’s attempts at annexation of Slavic lands, ignoring the right to self-determination of another ethnic group, and the Second World War was a direct consequence of these machinations which occurred in dividing up the spoils of the first. Yet giving people the right to determine their own way of life, their own government, their own language, their own religion, and their own traditions seems yet, after so much spilled blood and tragedy, not to have been understood by leaders whose priorities do not take into account either the past or the future. France and Britain had both wanted to completely crush Germany in the war from the very beginning and were completely ill-disposed to any peace settlements that didn’t serve this purpose. In France, it became even treasonable to talk of peace. The County of Tyrol, however, was a different matter — not a question of drawing new ethnic borders but one of the imperialistic desires, national security and perhaps greed. As lush and breathtaking as this land was, the mountains also served as a natural buffer between Austria to the north and Italy to the south, there is strategic advantages from Italy’s point of view. To the south of this newly declared border lay a territory now called “Alto Adige,” the Italian name for “South Tyrol,” a land about the size of Kashmir’s district of Kishtwar, or the U.S. State of Delaware, which had been up until then an integral part of the County of Tyrol, a province of German Austria. It had been for many centuries. South Tyrol was physically separated from the old County by Brenner Pass situated in the Alps, which was considered a strategic passageway between north and south to the defense of Italy in the language of turn-of-the-century warfare technology, although historically it had never represented or served such a function. The border between Italy and Austria in the past had always been further south at the Gorge of Salorno. The Gorge of Salorno was the natural border, because it was also the dividing line between Italian and German-speaking peoples. The County of Tyrol has some of the same attractiveness to Italy that Kashmir has to India and Pakistan. It is a somewhat magical historical region with tall steep mountain peaks and deep valleys with its own traditions in what was once a portion of Austria from 1140 up to 1919, when sovereign control of the south was turned over to Italy. The Italians had always coveted the South Tyrol region and made possession of it a part of their demands in agreeing with the Allies to join their fight against Germany. Likewise, Kashmir has the second highest peak in the world, K2. It has a strategic location, which connects China with Pakistan and India with Central Asia. The major rivers of India and Pakistan originate from Kashmir, like Indus, Jhelum, Chenab, Ravi. South Tyrol’s difficulties with a foreign culture bear many similarities to Kashmir, and Kashmiris must remain alert to efforts by India to impose political, economic and social solutions that encourage and sustain measures that oppose Kashmir’s best interests. As stated, South Tyrol shares with Kashmir a long tradition of fighting for self-determination, and it has become a default fall-back position whenever there’s trouble. Kashmir has also “enjoyed,” shall we say, a certain fiction called autonomy, which has proven to be an empty shell layed by a dinosaur whose legitimacy as ruler was established by colonial dictates, not the will of the people. The people of Kashmir have made it clear that they intend to be the master of their destiny through self-determination. Both disputes are clear evidence of how the leaders of great powers invariably plant the seeds to future conflict and war by not doing the right thing in the beginning but instead ignoring the will of certain groups of people and imposing solutions that are contrary to historic cultural and linguistic ties. Through both, the resentment and anger of those affected have lived on and on. It was British Viceroy, Lord Mountbatten who awarded the district of Gurdaspur to India without which there was absolutely no connectivity between India and Kashmir. It offered the only viable route to Kashmir for the invading army of India in 1947, thus creating the problem of Kashmir. Like South Tyrol in respect to Europe, Kashmir is also the largest producer of apples in South Asia. Kashmir has forestry, saffron, paper mâché, untapped minerals and above all the natural beauty that could attract millions of tourists from all over the world and make it a sustainable country. Kashmir will only blossom, however, when it is free to choose its own destiny and permitted to develop its great resources on its own terms without interference from any country who would bleed off its wealth to satisfy greed and imperialist desires with no benefit to the Kashmiris themselves. Kashmir has a soul, a sense of individuality, and a long history of a bond among all who live there. It will never be satisfied with less than the opportunity to claim its own identity.